Christian Horner was right to say that the victory of his charge Sebastian Vettel in the German Grand Prix wasn't a knockout blow to his rivals in the championship fight. But yet, it does feel like his opponents are very much on the ropes. F1 in 2013 is entering something of a hiatus now, with only the Hungarian race in the next seven weeks, before the start of a slalom run of nine rounds in the second half of the season. A good opportunity to take a look at the big picture, in other words. Yet even at this relatively early point, with 250 points still available, it's rather difficult to see how the Vettel-Red Bull combination can be scuppered. 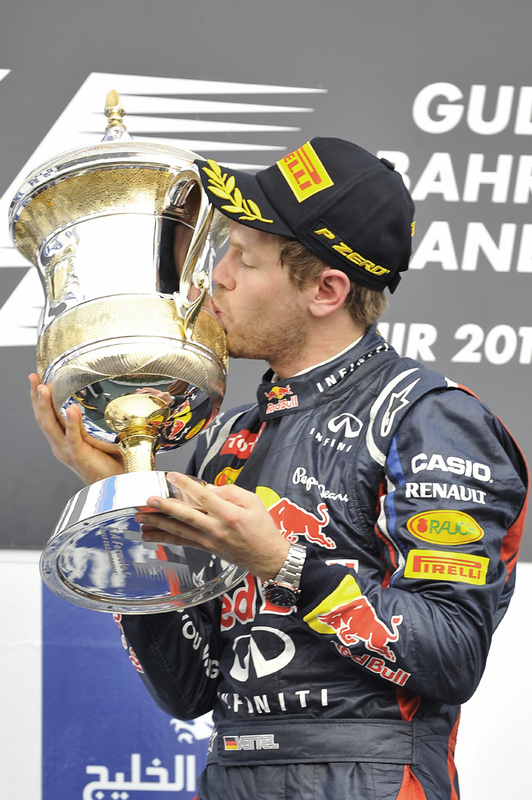 Red Bull of the ultimate honours? Not only does Seb have a 34-point lead in the table, well more than a race win, we also enter the point of the year wherein historically he and Red Bull have really got into their strides. The Milton Keynes team is excellent at in-year development, its upgrades regular and close to seamless it seems. More generally, the RB9 has been quick just about everywhere, Seb is on top of his considerable game (errant gearboxes aside he has finished in the top four in every round) and from now on only in Monza can you envisage the car not being near the pace, given the Renault engine's comparative lack of top-end grunt. And it's also not easy to see where an external threat is coming from. The Nurburgring confirmed that there will be enough rounds wherein the Mercedes won't keep their tyres together to presumably preclude a title charge for either driver; Lotus improved in that race but there yet remain question marks over its ability to sustain competiveness race-by-race, not least via its iffy qualifying speed and occasional strategy lethargy. Which leaves the Ferrari in Fernando Alonso's hands. Placed second in the table this pairing seems the most likely to deprive Seb and Red Bull of the drivers' championship. But it's a relative term, it still doesn't seem all that likely. Not for nothing, Alonso commented on Sunday after the race: 'to recover (the points deficit) you need to win two or three races, at the moment it seems that we are not able to do so...'. At the very least, the Italian team has to not only eliminate but reverse the pattern of recent seasons of the Red Bull squad out-developing it. And at exactly the wrong moment for the Scuderia its underlying doubts about its simulation tools in developing updates seem to be sneaking back. Its Silverstone upgrades in Alonso's words appeared to slow the car down rather than speed it up. Possibly the main threat to the Red Bulls are the new Pirelli tyres which await in Hungary. Those may yet be a game changer, especially in the first few rounds wherein everyone adapts to them. But on the other hand, there is no particular reason to think that Red Bull will be scuppered especially. And clutching at something of an unknown probably only underlines the position of strength Vettel has gotten himself into. Perhaps therefore the only thing that could alter the apparent destination of the 2013 drivers' title is something that we've been waiting for across much of the last three years, but have yet to see even the slightest indication of: complacency for Red Bull.